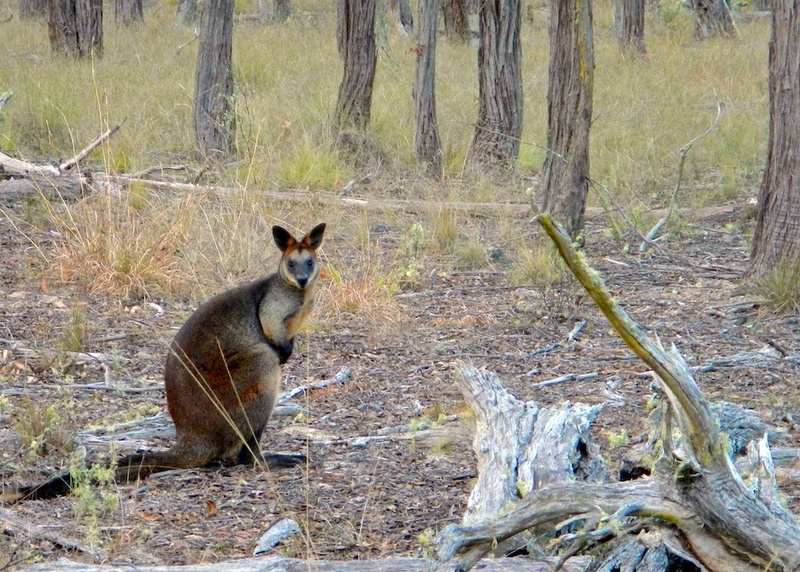 In the previous weeks we’ve seen photographs of the Red-necked Wallabies and the Eastern Grey Kangaroos that can be seen around the house. Today, it’s the turn of the Swamp Wallaby. 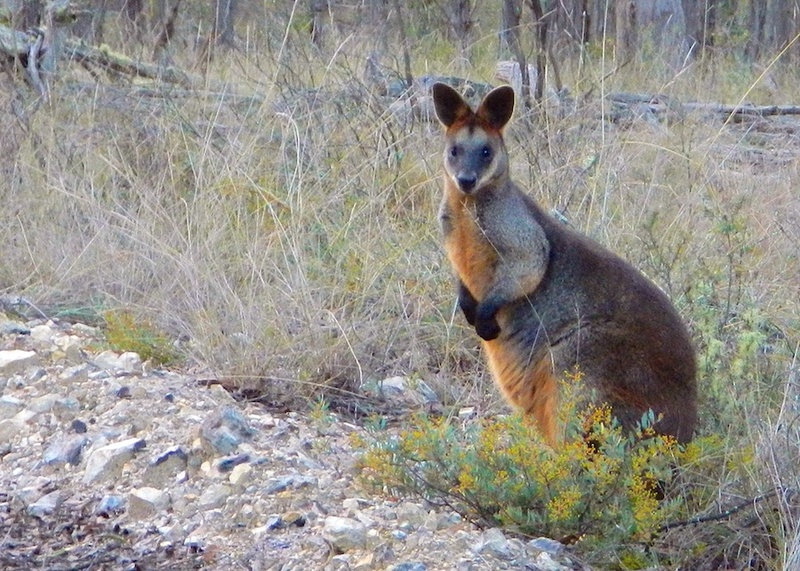 I don’t know the difference between wallabies but this une sure has pretty and distinctive markings.